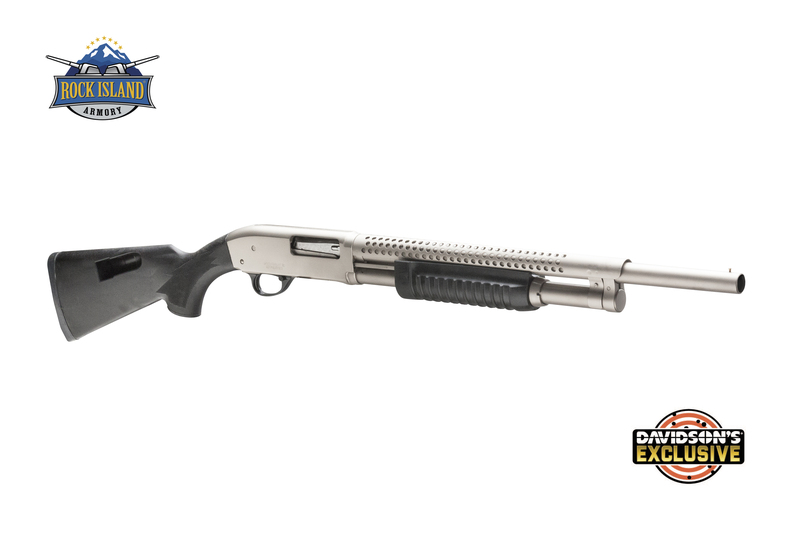 The Rock Island Armory M5 is reminiscent of the old High Standard Flite King shotguns mechanically but is ushered into modern times with some new features. The M5 features a 20 inch barrel that is chambered for 12 Gauge, three inch loads. It has a capacity of 5+1, bead front sight, fixed jeweled bolt, and a matte nickel finish. Other features on the M5 include a synthetic stock with shell storage and a barrel heat shield.